It’s almost the big day and if you, like us can’t take one day off from your favourite genres (reggae and dancehall), then this is the article for you, as we break down the tracks that you should be listening to throughout your Christmas Day. We’ve got two tracks for you to be listening to whilst you open your presents this year, one classic from the Unruly Boss in ‘Christmas Gift’ and a new track from Jahvillani and Chyn Chilla which also carries the name ‘Christmas Gift’. It would perhaps be advisable that you maybe should not be playing these in front of your whole family, unless they also love some explicit dancehall, as Popcaan and Jahvillani aren’t talking about Christmas presents that traditionally come in wrapping paper. If your man hasn’t provided you with the quality of presents you were perhaps expecting this year and are wishing for a richer man to provide those gifts, then Lady Saw’s ‘Rich Man For Christmas’ will definitely be a relateable song for you. Look no further than Jacob Miller’s ‘Natty Christmas’ which sees the reggae icon performing both his own versions of Christmas classics, but also his own unique Christmas songs. Definitely check out Reggaeville’s Crime Free Christmas series which was released back in 2016, with incredible tracks from Chronixx, Tarrus Riley and Duane Stephenson that will help to remind you this Christmas, how fortunate you really are. There are also some really unique versions of Christmas classics produced by some of the biggest names in Reggae and Dancehall. Then Beenie Man will happily remind you on ‘Once A Year’. It’s a Gullyside Christmas, as Mavado, Flexx and Savage link up on ‘Gully Christmas’ as Mavado robs Santa this Christmas. Then we have plenty of songs for you, we would recommend starting with ‘Christmas F**k’ from Vybz Kartel. Follow that up with ‘Lime Christmas Pon Di (remix)’ with Beenie Man, Elephant Man, Cecile and Mavado. Then top that off with ‘Like Christmas’ from Vybz Kartel and Sheba, and your craving for the tun up should be satisfied. Hopefully this selection of tracks should satisfy your craving for your favourite genres over Christmas, whether you are in the mood to settle down with family or tun up and listen to the finest dancehall from the best artists in the genre. 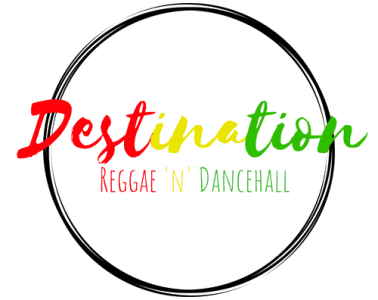 Merry Christmas from Destination Reggae n Dancehall, thank you for everyone for following us over the past 2 months it has been an incredible experience so far, and we have a lot more amazing things coming your way in 2019. We hope everyone has an amazing experience and we will be back providing amazing content for you all on the 26th.